When the day we meet up, we walk around this mall and finally come across this Ramen restaurant. 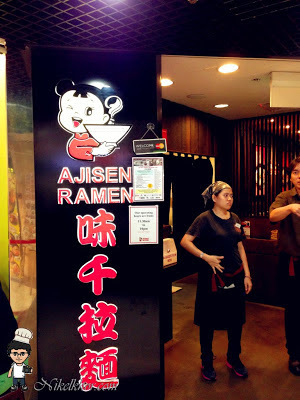 As known nowadays, many Ramen restaurant has been introduced here, such Japanese style, Chinese style and even local version of Ramen. 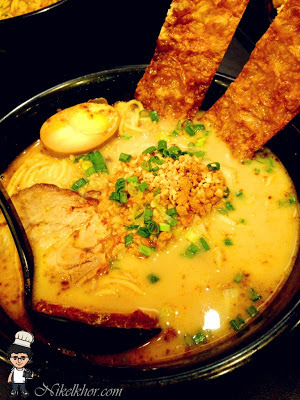 Many restaurant are added modified version Ramen to suit local delight. Therefore, we decide to give try on this. We ordered two side dishes to kick start our dinner. 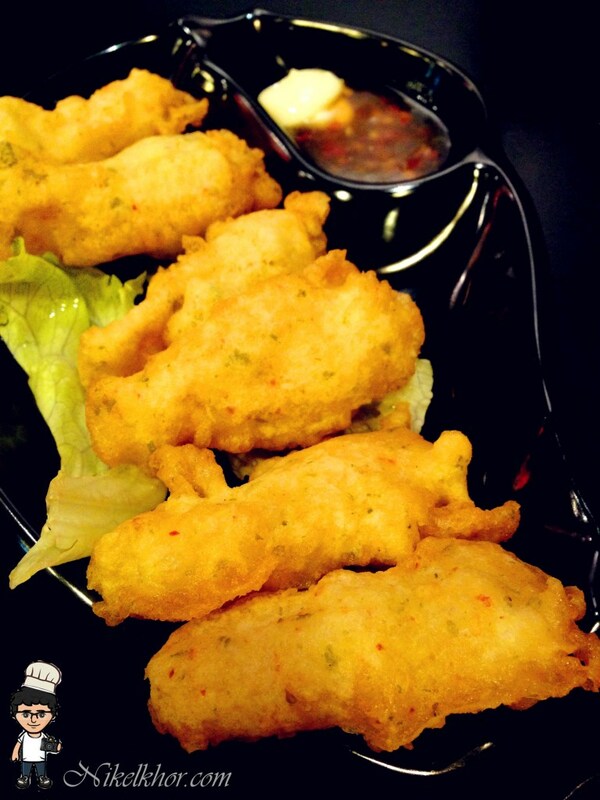 It just nothing special and we ordered this two side dishes to complete as our set meal, since it in promotion. 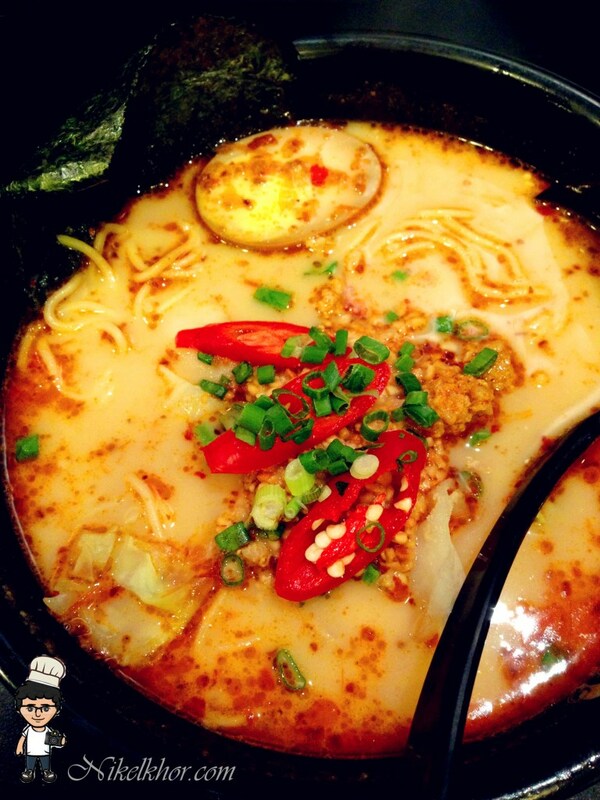 Here start with our Ramen. The noodles is not so impressive with slightly alkaline taste. Perhaps, it will improve this by using fresh handmade noodles on the spot. That will be a great. This is my own bowl of Ramen. 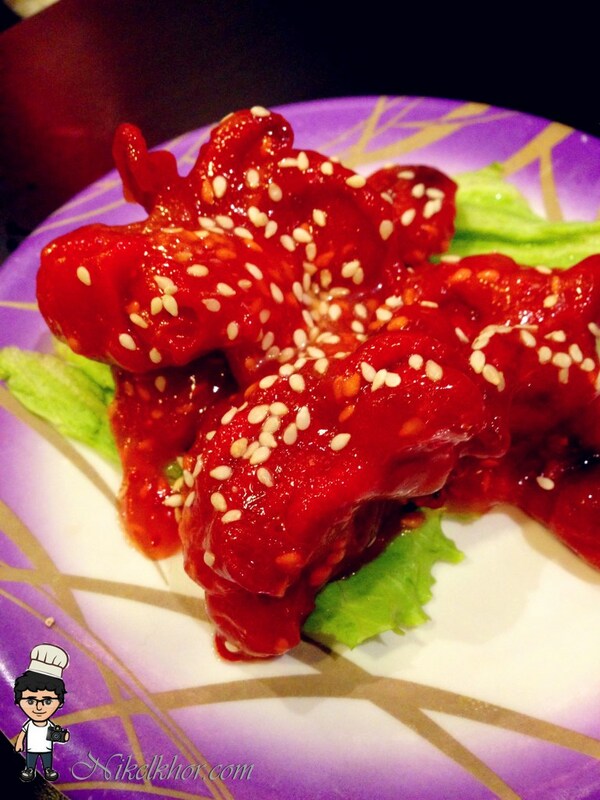 Since I seldom eat spicy, therefore I leave the spicy to other alone. Back to here, usually the miso soup base of Ramen will come with sweet and salty taste. I just like the moderate taste which not salty as other offer. For the sake of eating ramen, I finish up the soup and leave the empty bowl there. Great satisfactions.